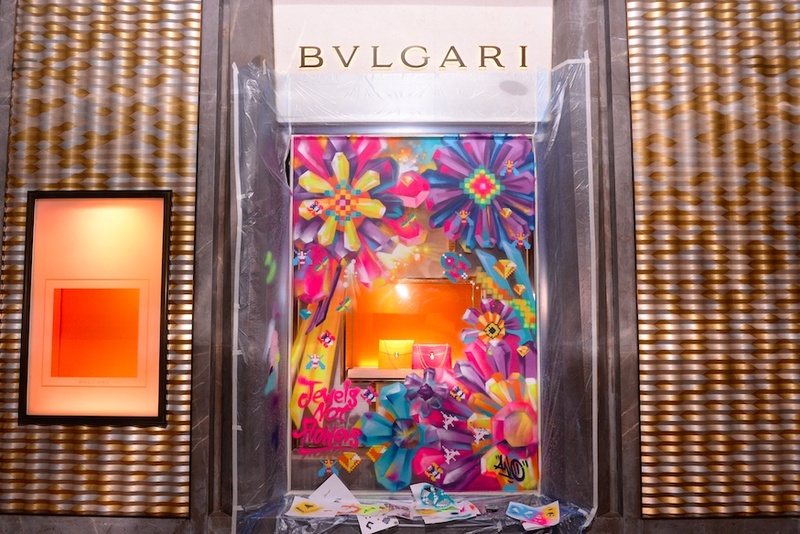 The evolution of the Bulgari brand has ignited a revolution of Art across cultures and continents in floral statements of the guerilla kind for one exclusive day, the 8th of May 2016. 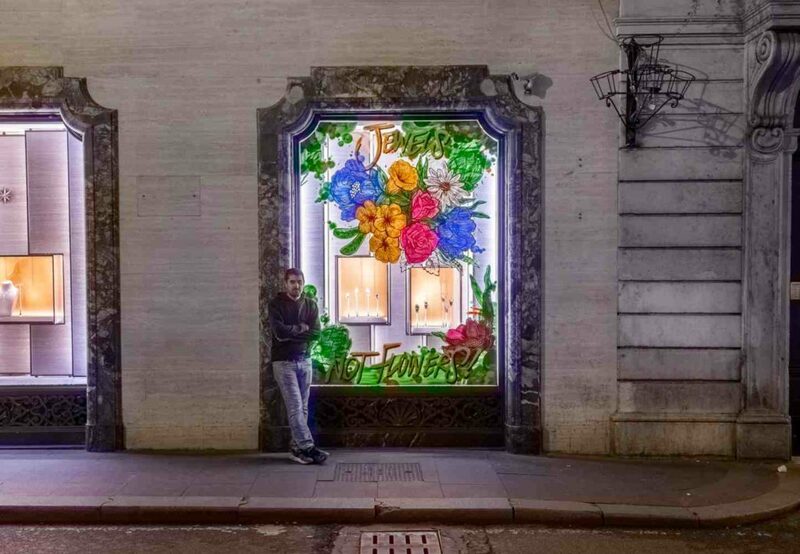 This year, Mother’s Day was celebrated with wild abandon from Rome, Milan, Paris, London, New York, Tokyo and Hong Kong with a pop of colour and surprise. 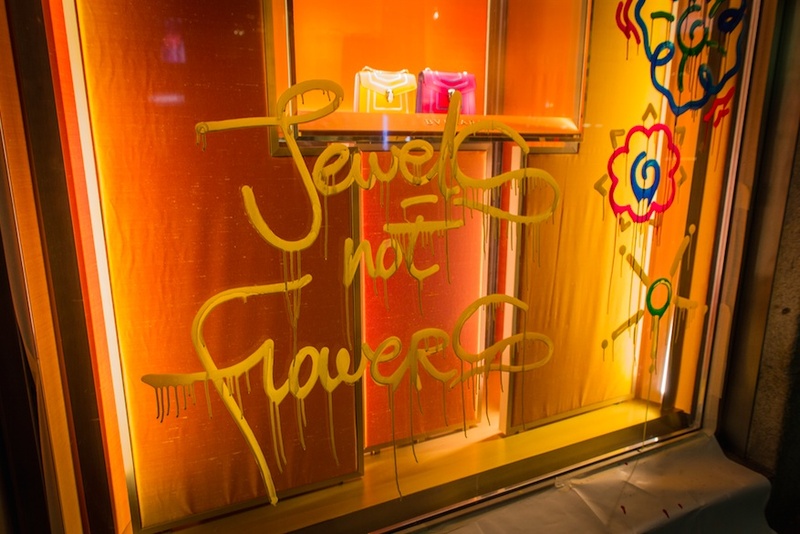 In full bloom, each storefront’s window display was enlivened by seven street artists in the respective cities, each with their individual impersonations of florals. 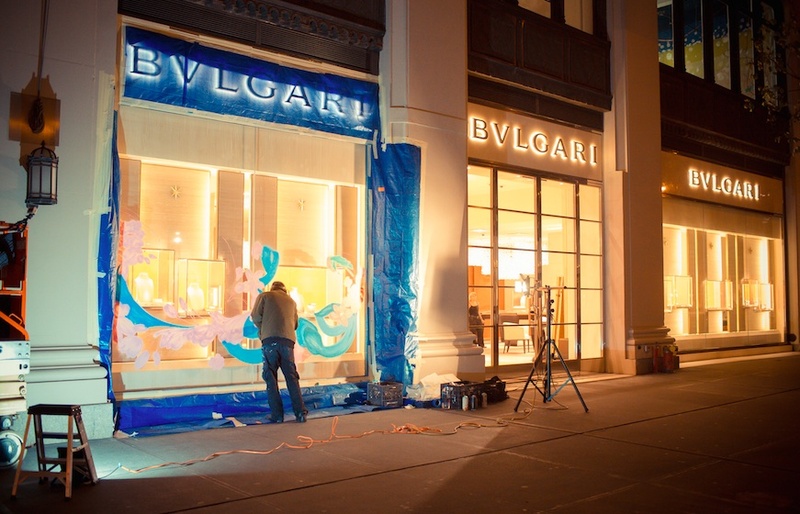 The initiative fostered Bulgari’s courageous brand identity in going forth with such extravagant and innovative artistic concepts, a street-art exhibition was a perfected match to the emerging street culture and urban living seen across the world. 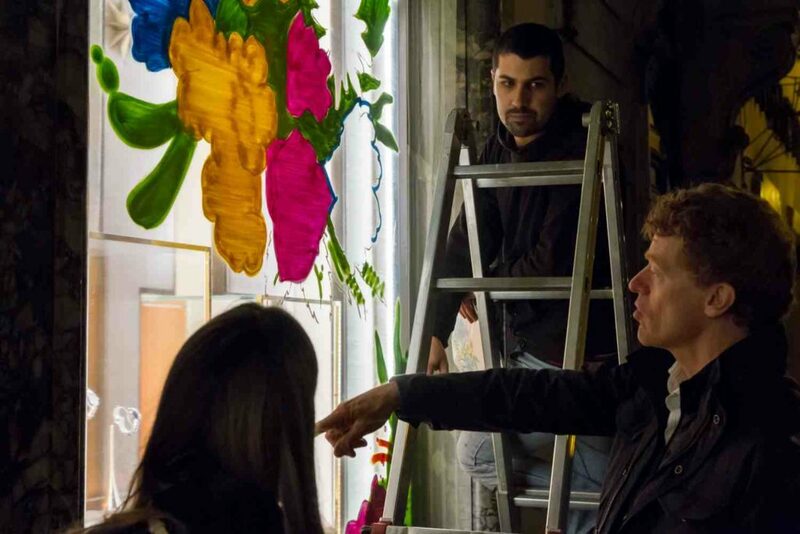 Bulgari’s flagship will be fittingly decorated by Lucamaleonte, a contemporary Italian artist known for his realistic creations inspired by nature and ancient art. 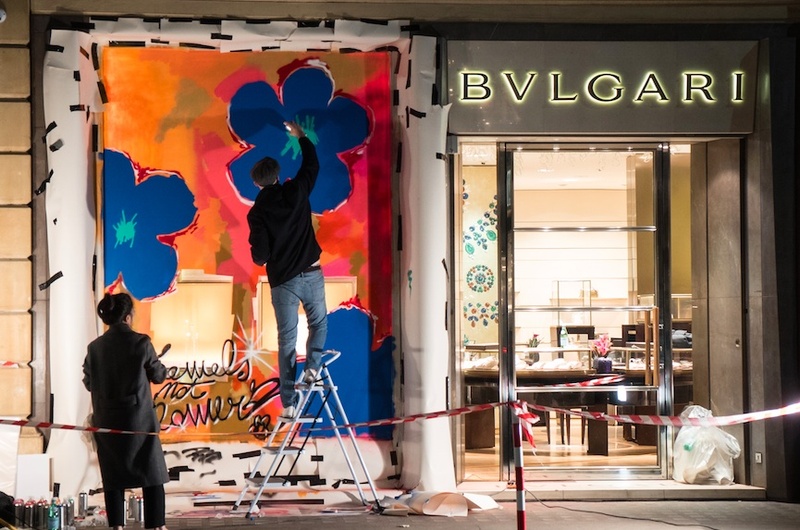 Bulgari’s Guerrilla Window Art shouts with colourful spontaneity, while it celebrates the re-entry of spring. Blossoming with urban flowers.